Shri B P Sharma, Secretary, Ministry of Health & Family Welfare held a meeting to review preparedness of various agencies to prevent and manage Dengue in the National Capital,yesterday. Present at the meeting were Dr. Jagdish Prasad, DGHS, Shri C K Mishra, AS & MD (NHM) and senior officers from the Ministry of Health & Family Welfare. Representatives and senior officers from Delhi Government, Municipal Corporations of Delhi, NDMC and the Delhi Cantonment Board were also present during the meeting. The preparedness of various agencies to prevent and control Dengue was reviewed. In view of the rising number in Dengue cases in the NCR Delhi, Secretary (HFW) urged the Municipal Bodies and Delhi Government officials to be alert over next two months and to gear up activities and measures to be taken for awareness generation, prevention and control of Dengue so as to effectively address the situation, and not allow it to escalate. Shri Sharma also asked the National Vector Borne Disease Control Programme (NVBDCP) of the Health Ministry, Delhi Government and the Municipal Corporations to coordinate their IEC activities towards this end. Due to reporting of high density of vector breeding from various areas across Delhi, source reduction activity to eliminate the mosquito breeding was identified as a priority activity to reduce the risk of transmission as no vaccine is available for Dengue. This was highlighted since there does not exist any specific drug for treatment of the disease. The DGHS was requested to ensure availability of adequate stock of NS1 test kits for Dengue in all Central Government hospitals. Secretary (HFW) also suggested to conduct training of doctors of private hospitals in Delhi on Dengue case management. Creating awareness among the communities for prevention and control of Dengue emerged as a focus area during the meeting. 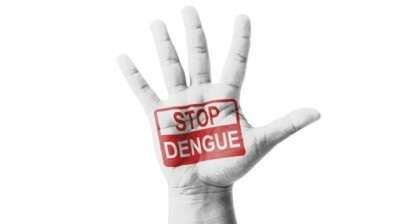 It was suggested that targeted multi-media IEC campaigns need to be undertaken to highlight the need for prevention from Dengue. It was also suggested that RWAs could be involved to create awareness among the residents. The officials from Delhi Government mentioned that special awareness programmes are being held in the schools, such as rallies, etc., to educate the children on Dengue. It was suggested that activities such as these could be replicated all over to create widespread awareness. It was also decided to seek cooperation of CPWD and the Foreign Missions for control of mosquito breeding inside their Missions. In the first fortnight of August, 277 cases of dengue were reported in Delhi, highest number for the month recorded in the last three years.